Editor's Note: Sutton Turner was the executive pastor and an executive elder of Mars Hill Church in Seattle. He spent several years in the business world, working in Texas and the Middle East before God called him to serve at Mars Hill. Turner oversaw the church's central operations and business functions, including finance, property, media and communications, and technology. He trained and mentored the executive pastors and deacons across all Mars Hill Church locations. 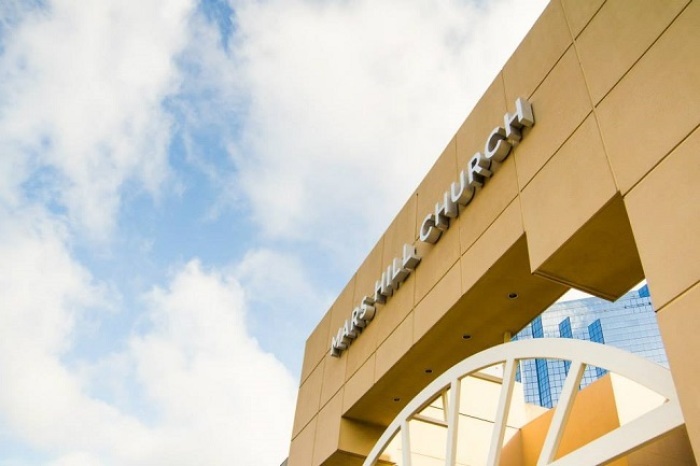 Mars Hill Church closed on December 31, 2014 and by the grace of God, several new, independent churches were planted out of it. Romans 8:28 is clear that God uses everything in our lives for our good and his glory. Again by the grace of God, the story of Mars Hill presents many lessons to be learned that I pray might help others. One of the biggest mistakes of Mars Hill Church was using a company called ResultSource. It deserves to be a business school case some day, but for right now, let's focus on the leadership lessons. In April 2011, I joined Mars Hill as the General Manager and reported to the Executive Pastor. I had enjoyed the teaching via podcast from overseas since 2007. My family and I looked forward to attending and serving in the church that we had enjoyed from afar, a church that loved Jesus and preached the gospel. I looked forward to using my gifts and experience to further the mission of Jesus through the local church. Through the grace of the Lord Jesus, the efforts of a hard-working team, and the hiring of a chief financial officer, we had put in a new chart of accounts, gotten the books closed out within 30 days of the previous month, and started to figure out where we were financially. That was all within only five months! At the same time, I was getting familiar with other ministries and departments, such as Media and Communications. A week later, I was notified that my advice was not taken and the plan to use ResultSource was approved. I don't know who approved the plan. I don't know what process was conducted concerning the decision. I do know that it showed that the process of making big decisions was broken and it needed to be fixed. So what do you do when you are working for an organization that does not take your advice? First of all, if the decision is illegal, you need to report the decision to the proper authorities. As Christians, we answer first to the Lord and he is clear that we should submit to the authority that he has instituted (Romans 13). There are good whistleblower laws in the United States for protection of people who report crimes. In the ResultSource decision, it was easy to understand that the decision to participate in this marketing practice was not illegal, but again, as I stated, my opinion was (and still is) that its ethics were questionable. It used a loophole in the New York Times Best Seller List process. It did not steward the church's resources well. When you are working in the US, you can always quit your job and leave if you don't like a decision that has been made above you. During my three and a half years at Mars Hill, I saw many people leave because they did not agree with the way decisions were made. 2. Stay and support the decision. You can stay and take ownership of the decision like you agreed with the decision, for better or for worse. You can stay and try to change the organization so that decisions, which you believe are mistakes, do not happen again. 1. When the decision is legal, you cannot stay and complain that you did not agree with it. You cannot be divisive while continuing to remain on the team. If you are going to be divisive, you need to leave. 2. You cannot leave the organization and complain to your friends or through social media when you actually had an opportunity to fix it if you had stayed. I have seen many people leave Mars Hill who had positions of influence. They did not agree with decisions, resigned, and went to social media to try and bring about organizational change from the outside. To me, if you stay, you can be part of the solution, but if you leave, you need to leave and allow leaders who remain to make changes for the organization's future. Shortly after the decision to execute the ResultSource marketing plan was made, my supervisor resigned. After him, I was the highest-ranking employee in administration. The decision had been made but the contract hadn't yet been signed. On October 13, 2011, I signed the ResultSource contract as General Manager a full month before being installed as an Executive Elder. After signing the contract, I emailed an elder, stating my frustration with having to be the one to sign the contract when I had voiced my disagreement with it. But few in the organization (or in the media since then) knew of my disagreement. When you stay in an organization and you do not agree with a decision, you have to own that decision as your own. Unfortunately, I will always be linked to ResultSource since my name was on the contract even though I thought it was a bad idea. If given the same opportunity again, I would not sign the ResultSource contract, but honestly, my missing signature would not have stopped it. Someone else would have signed it anyway since the decision had already been made. I knew if I left Mars Hill, the likelihood of decisions like ResultSource would only continue. Through prayer and confidence that Jesus had called my family and me to Mars Hill Church, I decided to stay and change the decision-making process so that decisions like ResultSource would not be made again. My next blog post will detail what changes were made.